Did you know that an unhealthy gut can contribute to everything from facial breakouts and difficulty concentrating to catching a cold and even cancer? If you’re body isn’t successfully flushing out toxins, the accumulation of the “bad stuff” manifests itself in ways that aren’t only related to an upset stomach. Your digestive system is the key to keeping your entire body running smoothly and feeling great. It affects every nook and cranny of your body and yes, even your mind. But the truth is, many people (even healthy vegan eaters) don’t realize they’re having digestive problems. Even if you do have regular, healthy bowel movements, your overall wellness centers on the health of your gut. Due to this undeniable fact, it’s critical you keep your gut in optimal shape at all times. What role does your gut play? Everyone knows the gut is responsible for digesting food, but did you know it also performs other essential functions? Your gut is also where you actually benefit from all the nutrition you take in. Intestinal flora inside your gut, or “good” bacteria, helps your body detoxify and absorb nutrients. If that bacterium is depleted, a multitude of gut issues can ensue. Your gut also holds something referred to as “The Second Brain,” which comprises microbiomes and the enteric nervous system. That’s right, the nervous system runs through your gut. The Second Brain is so powerful that it regulates your mood (it supplies over 95% of the mood-boosting serotonin!). This is why many people with, say, IBS also experience depression or general malaise. Many of your hormones are also managed by the Second Brain. On top of that, 80% of your body’s immune system is located in your digestive tube, so it plays a huge role in protecting your body from bugs, viruses and “bad” bacteria. As you can see, the gut’s functioning affects every process in your body, so the side effects of poor gut health can show up anywhere. When you have a healthy quantity of good bacteria, you can feel the difference. Healthy digestion gets vital nutrients to your body, sends important signals to your immune system and helps your brain function. You don’t feel bloated, you don’t experience any strain during bowel movements and you don’t have to run to the bathroom after a meal. Your immune system is also more equipped to fight off any infections or illnesses brought on by invading pathogens or microorganisms. This is not a comprehensive list of symptoms. A weak digestive system expresses itself in a multitude of ways. So even if you don’t necessarily feel cramps or have diarrhea, take care of your gut—it will benefit you no matter what. Processed, fatty foods do nothing but harm your body and hinder your gut’s productivity. They make your digestive system sluggish, tired and vulnerable. On the other hand, feeding your body with the raw, living enzymes from fresh vegetables and fruits works miracles in your gut. What you eat directly affects your gut health, and meat-centered diets can actually cause colon inflammation. A diet that consists of at least 85% raw vegetables is easy for your gut to digest and doesn’t negatively affect the “good” intestinal flora. Make sure to get enough fiber every day to keep things moving. These are some of the most gut-friendly, fiber-rich foods. Eat as much as you want! Probiotics – The Hallelujah Diet Probiotics are THE best probiotic supplement on the market right now. This professional-strength probiotic works more effectively than the other brands because of its patented probiotic delivery system. 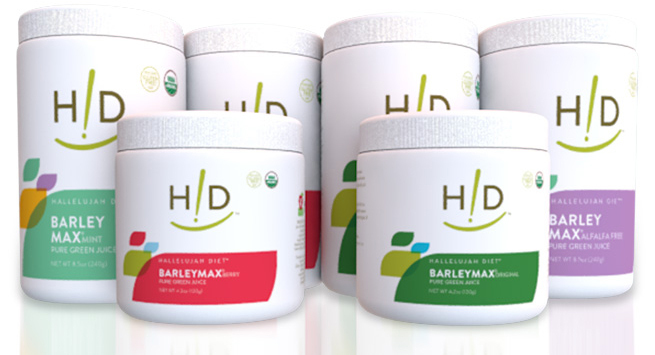 HDiet Probiotics can deliver as much as 60% of the bacteria to you colon—where it’s needed the most! This bacteria helps to regulate and restore good bacteria to your gut so that it can fight infections and promote immune system health. Digestive Enzymes – Eating healthy is just not enough if your body is having trouble breaking down your food. Our digestive enzymes help your body to not only break down the food, but also effectively absorb the nutrients. It alleviates the digestive stress that might be affecting your body and lets you reap the benefits of the natural nutrition and disease protection the Hallelujah Diet provides you with. Fiber Cleanse – Are you feeling the urge to start fresh? Our Fiber Cleanse is an excellent way to flush the colon and get you back to your best bowel function. It cleanses and eliminates harmful toxins that may have built up inside your body over time. Enjoy the benefits of a balanced mix of 28 herbs in a flax seed and psyllium base. Everyone has different needs. For more detail on all our digestive health tools, click here. It’s never too late to make a change for the better when it comes to your gut. When you make dietary changes for the better—think raw vegetables instead of a greasy fast-food burger— your gut will get stronger and protect your body from infections. Pair that with our very best cleanses and supplements and you’ll notice a huge difference almost instantly. Not only will you feel better, but your body will look better, too!